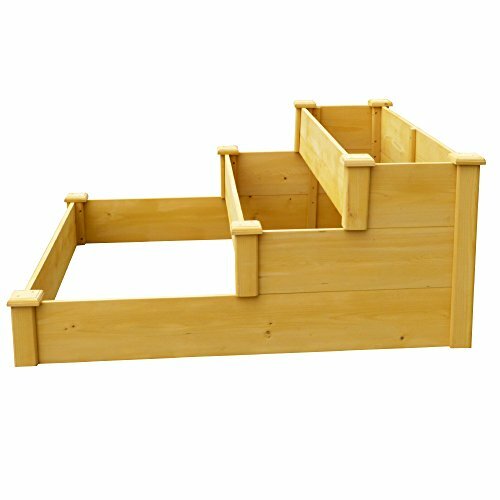 Easy to assemble, roomy, three-tiered raised garden bed provides depth for growing various deep-rooted plants & vegetables. The elevated design is great for areas with poor soil or no soil. With three tiers, you can easily grow diverse varieties, even those requiring different amounts of water, fertilizer, & maintenance. Great for beginner gardeners-surprise them with a gift. Got a cropped porch or a sloped yd. That needs company? use this garden bed as a stunning nature art that you construct. If you have any questions about this product by Leisure Season, contact us by completing and submitting the form below. If you are looking for a specif part number, please include it with your message.